Water NZ has released a new code of practice for water fluoridation plants built or upgraded after January 1 this year. And new CE John Pfahlert says fluoride opponents may choose their opinions but they can’t pick their science. Nothing seems to ignite public debate in a community as fast as a proposal by a territorial authority to start fluoridating the town drinking water. So it’s no surprise that the topic has been in the news a lot over the past couple of years. Water fluoridation is the adjustment of the natural content of fluoride in drinking water to a level that helps protect teeth against tooth decay. In New Zealand, the decision to adjust the level of fluoride in water supplies is held by drinking-water suppliers (local authorities and other owners). The Ministry of Health recommends the adjustment of fluoride to between 0.7 and 1.5 milligrams/litre as the most effective and efficient way of preventing tooth decay in communities receiving a reticulated water supply. There is no legal requirement to add fluoride, with each decision to do so up to the relevant territorial local authority. John Pfahlert: Working to clarify the fluoride debate. The latest policy development is advocacy by LGNZ for the decision to fluoridate, or not, to be assumed by the Ministry of Health. The argument in favour of this option is based on the fact that fluoridation is a public health issue. LGNZ says the decision should be made by health officials, rather than local government which just owns and operates the water assets. It’s an option that certainly requires further consideration. Fluoridation is likely to remain a controversial subject. Water New Zealand’s role is to contribute good scientific information to help local councils make their decisions. The November issue of Water New Zealand’s journal Water, ran an article describing some of the background facts about the practice of water fluoridation, summarised the recent significant events surrounding the science and politics of fluoridation, and introduced the responses of the water industry to ensuring that fluoridation of water is carried out in a safe way. In August 2014, The Royal Society of New Zealand and the Office of the Prime Minister’s Chief Science Advisor released a major review titled Health Effects of Water Fluoridation: a Review of the Scientific Evidence. This document summarised an assessment of the scientific evidence for and against fluoridation of drinking water. The review found that the levels of fluoride used in New Zealand create no health risks and are beneficial in the prevention of dental decay. 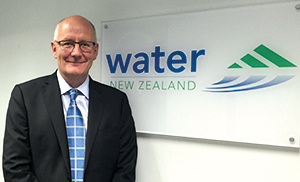 Water New Zealand’s role is to contribute good scientific information to help local councils make their decisions. Currently, 46 water treatment plants in New Zealand add fluoride to the water supply. Indeed the study concluded that water fluoridation is a good use of ratepayer funds as the savings in dental costs are likely to be more than the cost of adding fluoride. In December last year, Water New Zealand published a Code of Practice: Fluoridation of Drinking Water Supplies in Zealand. Where councils have made a decision to fluoridate, the code specifies good practice in the design and operation of water fluoridation plants to ensure that where fluoride is added, it is done so safely and effectively. The code applies to all new and upgraded water fluoridation plants after January 1, 2015, and to existing plants after January 1, 2020. Currently, 46 water treatment plants in New Zealand add fluoride to the water supply. Together they supply 2.1 million New Zealanders – or about half the population. While the availability of sound scientific information to inform decision making is essential, Water NZ realises that it’s unlikely to make the public decision-making process any less heated. Proponents and opponents are still likely to resort to their entrenched views. However, while opponents are entitled to their own opinions, they aren’t entitled to their own science. Hopefully the factual reports issued in 2014, including this new code, make the discernment of the facts somewhat easier going forward.